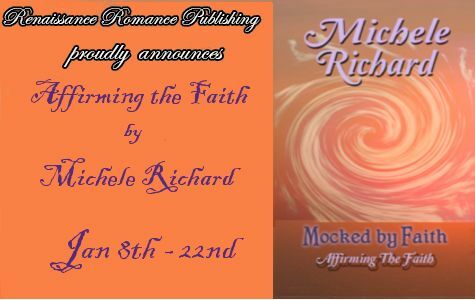 Mocked by Faith: Affirming the Faith is book 4 in the Mocked Series and I am very pleased to be showcasing Michele on site today. I am a long time fan and so happy for her new release in this series. For my promo today, I am going to give you an excerpt from chapter 1 that I am sure all you Alexia and Justin fans will love! The time has come for Alexia and Justin McNear to move out of their beloved home at The Gates, a hidden gated community where time doesn't change the way of life. It's time for a new start with the birth of a new community, and children to raise in the faith they cherish. Alexia and Justin’s challenges are far from a thing of the past. Life’s not always perfect. This is a fact these two know all too well. Together they’ll have to remind each other nothing is ever perfect. Two years after my wife Alexia gave birth to our daughter Charity, the time had come to arrange my sister Krista’s marriage. Contracting our children and helping our fathers with our sisters had always been a cherished part of our faith. I considered it an honor and a privilege to partake in the centuries-old tradition. My father and I had chosen Krista’s future husband very carefully. The fact that she adored the man in question had very little to do with the decision. One by one, we narrowed the possibilities down. We took every detail into account before settling on three choices, which were listed according to what we felt were their more compelling qualities. To those who lived outside our faith, our methods for analyzing every facet of candidates’ lives wouldn’t make sense; hobbies, health, school grades, community participation, and even personality were given the closest scrutiny possible. When Brett Miller approached us about the possibility of contracting Alexander and Krista, we agreed in a heartbeat. His adopted son had been the first on our list, and we had already decided to discuss it with them. However, they beat us to it. Alison and Brett had also welcomed a baby girl to their family a few months after Alexia and I had. They had struggled with being unable to conceive for over two years prior to her arrival. The birth of the brown eyed, blond haired, Brianna finally brought them the peace they’d been looking for. 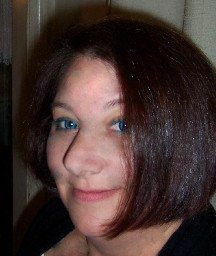 With his similar eye and hair color, you’d never know that Alexander wasn’t related to Brianna by birth. Since Brett was a blond and Alison had milk chocolate-colored eyes, most would assume they’d inherited those features from their parents. The two children filled the void in their parents’ lives. Alexander adored his little sister. He worked hard, studied his lessons, and loved those who had taken him in. He was an upstanding member of our church, and he doted on Krista to no end. They’d been friends since he first stepped foot into The Gates and was placed in the Millers’ care after they had petitioned for custody. Alexander, whose birth father had once made a mockery of our faith, was nothing like the ex-Minister. Mark Rochester and his wife had singlehandedly tortured our communities. Their abusive practices at the Revirgining Retreat, embezzlement of Church funds, and lastly the kidnapping of my wife Alexia had been their downfall. In the end, they had been killed by the FBI when Alexia was rescued. Alexander was happily re-assimilated back into our way of life once the police decided he had been as much a victim as everyone else. Watching my parents and Krista standing on the stage with Alexander and his adoptive parents for their Tying Ceremony brought tears to Alexia’s beautiful, emerald-green eyes. They were one of two couples being announced. Minister Jeff and his wife Patty were announcing their son’s contract, as well. Together, the eight parents stood with their children, each wearing a smile of pride. Minster Jeff had run our community for the last twenty years. The strain had left behind slight traces on his features and had grayed his brown curls a little. Patty managed the community property itself. Rentals and sales were her responsibility. She had held on to her youthful looks. I’d never ask if she’d had her blond hair treated at the salon; I valued my life too much. “I’m sorry we didn’t have this,” I whispered, wrapping my arms around Alexia’s waist from behind. “We did, on our wedding day.” She blushed, snuggling into my embrace. She hadn’t always accepted our unconventional beginning, but now I could see the difference in her demeanor. In our first year of marriage, things had been turbulent, to say the least. Our contract had been signed one month before our wedding, unlike the usual two years everyone else had. The Tying Ceremony, which should have been held the night the contracts were signed, had to be done on our wedding day instead. But what we had the most trouble with was that we never met as promised adults before the wedding took place. We had only met once as children for just one day. The one thing I had remembered about her was her eyes. “They look happy.” I chuckled, kissing her sensitive flesh below her ear, which earned me a low, deep hum. 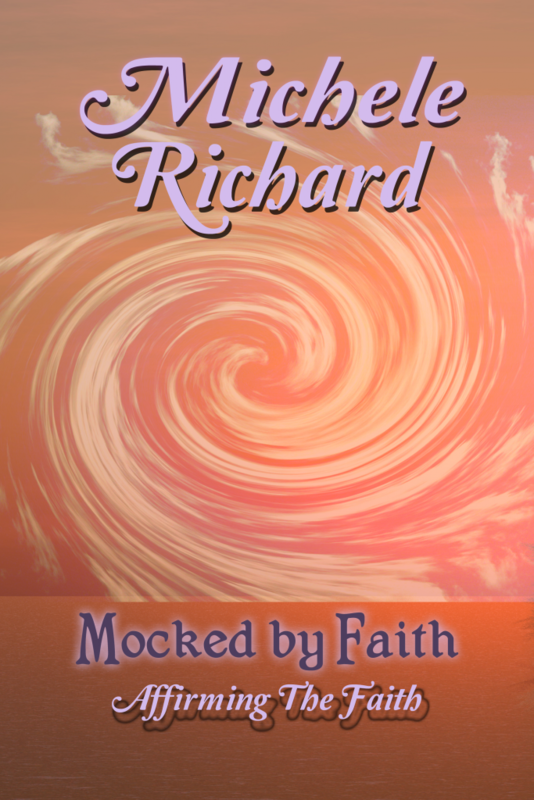 Mocked by Faith: Affirming The Faith is now available.